Edward Kavazanjian’s name has been synonymous with geotechnical engineering since joining Arizona State University’s faculty in 2004. He has attained international status as a leading geotechnical engineer and has advanced the field through a cutting-edge research and educational agenda within the Ira A. Fulton Schools of Engineering. Now Kavazanjian is furthering his commitment to geotechnical engineering at ASU by designating the School of Sustainable Engineering and the Built Environment (SSEBE) as the primary beneficiary of his estate. This gift aims to extend the long-term viability and prominence of the geotechnical and geoenvironmental engineering program within the Ira A. Fulton Schools of Engineering. $2 million of the estate gift will support the establishment of an Edward Kavazanjian, Jr. Chair in Geotechnical Engineering. “Becoming a chair enabled me to transform my research and teaching agenda — and I want to do the same for those who come after me,” said Kavazanjian. 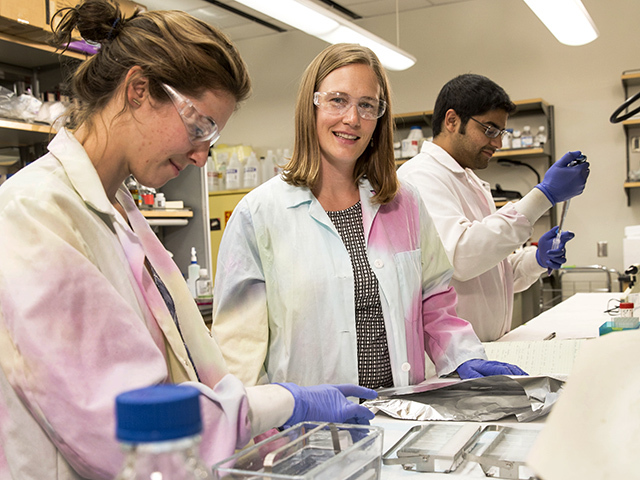 Endowed chairs provide faculty members with discretionary funding that can lead to the development of new research areas or improvements in lab facilities and equipment. Over the past three years Kavazanjian has used the funds he received as an Ira A. Fulton Chair to help send dozens of students to premier geotechnical engineering conferences, to support undergraduate and graduate students conducting research and to purchase, update and repair lab equipment and supplies. Kavazanjian hopes that his gift will someday be used to recruit or retain a prominent engineer working in the field of geotechnical or geoenvironmental engineering to serve on the Fulton Schools faculty. 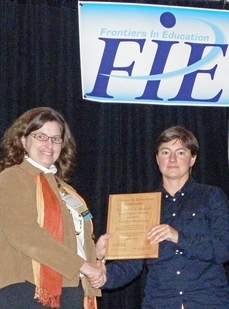 “This will help to sustain the geotechnical program after I am gone,” said Kavazanjian. This estate gift will also enhance two funds Kavazanjian created seven years ago: one provides fellowship support for geotechnical students and the other offers discretionary spending for the geotechnical program. As part of the estate gift both funds will be increased by $250,000, with each providing an estimate of $10,000 in fellowship and program support each year ($20,000 total). The geotechnical program is growing in conjunction with the new Center for Bio-mediated and Bio-inspired Geotechnics (CBBG), a National Science Foundation (NSF) Engineering Research Center. 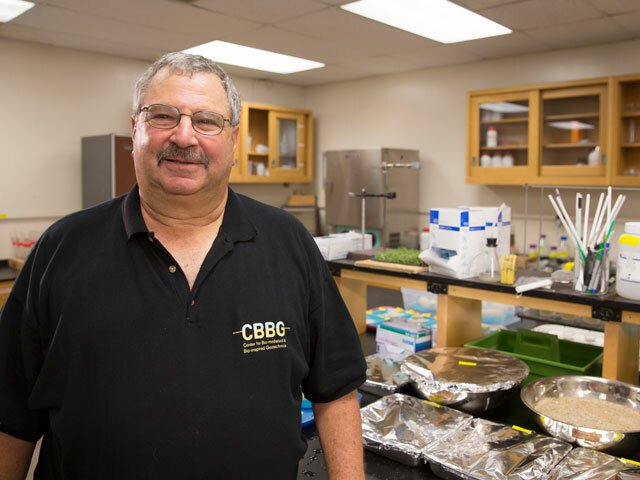 As the director of CBBG, Kavazanjian will be influential in expanding the geotechnical engineering faculty by adding two additional faculty members in the next few years. “We are reaching a critical mass and will soon be able to offer as comprehensive of a geotechnical program as the country can offer,” he said. With an endowed chair and funds for fellowship support and program development, Kavazanjian is helping to ensure that the geotechnical engineering program continues on a positive trajectory. When asked about the legacy Kavazanjian would most like to leave, he said that the education of his students has always come first and foremost. Kavazanjian’s students have made and will continue to make a difference with the knowledge they gained from a foremost expert in such areas as the analysis, design and construction of solid-waste landfills and other waste containment sites, environmental restoration of hazardous sites, and techniques for reducing the impacts of earthquakes and soil erosion on highways, landfills and other infrastructure systems. “Ed is inspiring in his generosity of time and contributions to students,” said Sandra Houston, a professor in geotechnical engineering who was the department chair of the Civil and Environmental Engineering Department (now SSEBE) when Kavazanjian was hired by ASU. 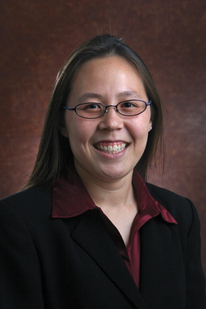 “He is a motivating and effective mentor of students and young engineers — demonstrating his clear commitment to the future success of ASU and the geotechnical profession,” she added. Kavazanjian said the decision to give to the Fulton Schools became clear as soon as he knew he would remain at ASU for the rest of his career. “ASU has provided a great base for my research and enabled me to branch out into the emerging field of biogeotechnical engineering,” said Kavazanjian. “This gift is my effort to give back and to sustain the program that I feel most indebted to,” said Kavazanjian. The following day he will be honored by the University in the Regents’ Professor ceremony. Kavazanjian is a member of the National Academy of Engineering, an ASU Regents’ Professor of Civil, Environmental and Sustainable Engineering, holds an Ira A. Fulton Chair in Geotechnical Engineering, and is the Director of the Center for Bio-mediated and Bio-inspired Geotechnics, an NSF Engineering Research Center.